Peshawar, July 11 (Just News): A suicide bombing at an election rally killed at least 13 people, including a politician, in northwestern Pakistan on Tuesday, police said, amid concerns about security ahead of national polls later this month. The bombing came hours after the Pakistan military spokesman said there were security threats ahead of national elections scheduled for 25 July. 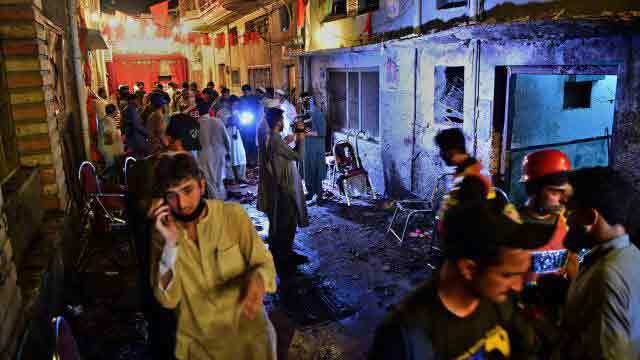 “The attack killed at least 13 people, including (Haroon) Bilour,” Peshawar city police chief Qazi Jameel told AFP. “According to our initial investigation, it was a suicide attack and Haroon Bilour... was the target,” police official Shafqat Malik told AFP. The city is considered a gateway to Pakistan’s troubled semi-autonomous tribal regions, where many militant groups-including al Qaeda-operated until the government launched operations to oust them. This was the first major attack on a campaign event for Pakistan’s 25 July general election. “I lost consciousness after the blast. The last thing I saw was a big ball of fire,” he said. Pakistan has been fighting a home grown insurgency since 2004, when militants displaced by the US-led invasion of Afghanistan came to its border tribal areas.